BB had heard on the radio that the new marina in Greystones was now finished and people ringing in were saying it was quite nice, so we decided to go and see for ourselves. It's awful, a monstrosity, pure concrete, no design. It kills the view. What were they thinking? Those clouds and reflections in the water are calling for me to paint them! I'd better get cracking so. No photos of the horror. I just couldn't bear it. I will need to practise this technique - a lot! So, I'm not going to show you the full face I attempted to paint in watercolour. I found the technique interesting though, using semi-abstract glazes to create form. But I would need to spend a month doing nothing else before I would improve I think! Maybe something for next year's International Fake Journal Month? I have a few ideas of topics I would like to explore (paint faces, paint water, paint clouds, paint trees, paint buildings, paint the human form - not necessarily in that order), but I do find it hard to stick to one subject. If I just stuck to one medium, that would be a start, but that's already what I did with this year's IFJM. And it worked. My confidence with gouache paints really grew as the days and weeks went by. But I haven't touched gouaches since. Actually I haven't done much at all since the start of May, expect feel inadequate for not sticking to my art goals! It sounds like a contradiction in terms, but painting water in watercolours is really hard. Maybe that should be my art goal for the summer? I could drive to the beach once a week and paint en plein air? I've been trying to reproduce the feeling from one of our walks on Killiney beach, but I'm losing the light dancing on the water somehow. I found that the gouache I painted of the same scene worked out much better. I was happy enough with the two exploration sketches I made, but when it came to the painting itself, it all went dark and dull - too much masking fluid, and then too many colours. It might not be completely lost, but I know in my heart it will not be right, so I think I should start afresh. This is my favourite of the three. When I do pick up a pen and draw, and the drawings work out, it feels good. But somehow, I'm finding it hard to motivate myself right now. Time to revisit Danny Gregory's book and Sketchbook Skool videos, I think! Although reading art motivational books is another form of procrastination! I found this video interesting, but I'm none the wiser as to how to actually draw a portrait that looks like the person. That was yesterday, actually, as showers were forecast. You can see I'm not drawing every day! This was a continuous line drawing, which means you can't lift the pen until the full drawing is finished. From the start of the year until the end of April, I was pretty good at drawing almost every day. But since the start of May, I have lacked focus in that field. I am trying to get myself back on track. But sometimes, life is just busy. And then I find my drawing isn't as good, and it puts me off. But I'll get there. It's a bit like giving up smoking. When you're ready, it all works out! As you remember, my watercolour sketch in the Botanic Gardens didn't exactly work out.. When that happens, it's back to basics for me! In this case, Catherine Gill's Powerful Watercolour Landscapes. 37 tools to make your watercolour paintings work, which can be applied to any type of painting - basic steps for good composition, for value contrast, shapes, etc. So the first thing I did was experiment with thumbnails, and I decided that the one I liked the best is with a similar medium value for the all the foliage in my three trees (the one at the bottom with the little sunshine to the left). Then I decided to try it out with my standard watercolour sketch palette (a tiny little palette I got as a present from my nieces for my birthday). I added a couple of people on the grass for extra colour and interest, but clearly got the proportions really wrong - either that man is a giant or those trees are really small. Not brilliant in terms of composition either. I think I should get rid of the tree on the right. I'm an artist - I can move mountains if I want to! Then I decided to try out my watercolour markers on the watercolour marker paper. The composition is not much improved (I didn't think of removing the tree on the right until just now). But the colours are nice and vibrant. Quite happy with my darks and lights. If I had managed to paint it like this on the day, I would have been very happy. But this is still not good enough. I'm currently going through a bit of a rut in terms of art. I haven't drawn all week, and I feel bad about it. But I keep finding other things to do - walk the dog, do the laundry, tidy my office (actually I haven't even done that yet!). I'm working on a Gelli print, but it's looking very muddy right now. OK, time to pick myself up, and get started. A wonky drawing is better than no drawing at all! Will let you know how I get on! In my previous post, I was telling you about the Winsor & Newton watercolour marker set I purchased recently. My first proper attempt with them didn't work out at all. I had brought them with me to the Botanic Gardens to try and do a watercolour sketch in my Fabriano sketchbook. I often sketch with watercolours in this book, and the results are normally quite good, despite the paper being a bit thin for water media. So I was very disappointed with the result -it basically looked like I had used plain markers - every streak, every line was showing, nothing watercoloury about it! But then I re-read the blurb and I realised it says that you should use Winsor & Newton watercolour marker paper for these. Not just any watercolour paper! And I realised I actually had a small sketchbook with exactly this paper! It shows I should really read the instructions more carefully when I buy art supplies! And I've also tried a little sketch exploring the same scene from the Botanic Gardens, and I think these markers are going to work out after all! Here is a small sample. More to come in a future post. Two weeks ago, I went to the Botanic Gardens with Dublin Sketchers. It was a beautiful Sunday afternoon, and what better way to spend a couple of hours than to sit on the grass and draw trees! The subject I picked was too ambitious for my skill level, I have to admit, but I'll definitely come back to it and see how I can cope with all these greens, and the sheer size of the tree on the left. I think in future, I will just go for pen drawing, rather than trying to paint with watercolours as well. I was trying out the Winsor & Newton watercolour markers, and they really didn't work on the sketchbook paper I was using on the day. I've discovered since that these markers are very fussy about the paper - well, that's the nature of watercolours overall anyway - paper is almost more important that the paint itself! More about that another time. Here are some of the sketches from the rest of the group. We met up outside the Grave Diggers' pub at 4pm, after we were all done with our afternoon's drawing. As you can see, different things caught different people's eye. After this less than satisfactory watercolour, I decided to go back to drawing. Sketching people in the park is great fun. If you feel you've been spotted, just move on to another page and draw trees! Plus, I don't think that any of these subjects would recognise themselves from my drawings anyway! Then, I went back to the big tree that caught my eye in the first place. This time, I used a pen with watersoluble ink, which enabled me to indicate shadows. That tree was so tall that I ran out of space and never got to the top of it, but, still, this is my favourite drawing of the day. That alone made it all worth it, including the bus journeys across the city. I should have driven, but I was worried the area would be all parked up. It wasn't really, so I'll know for again. This is the last painting I had time to paint for the exhibition. As I wanted to keep my lovely pen drawing intact, I had to find a way to reproduce it on watercolour paper, while not touching the original in my sketchbook. Modern technology helps! The lines are softer than in the drawing, which I really like. And I followed advice from Shari Blaukopf on Craftsy.com to give life to the painting, by varying the colours in the red brick wash as I painted the full building. This painting will be for sale at the Kilmacud Art Group Exhibition on the 28th and 29th of May, at the St Laurence's Parish Centre, Stillorgan, Dublin. Over the Moon! that's the only way I can describe the feeling. All my paintings have sold on the first night (with one picked as the top raffle prize). I am so thrilled! Thank you everyone who's bought a painting, who's supported me, and of course many thanks to Mary Nolan, our teacher and leader of the Kilmacud Art Group! Second Update!! - I've sold another one! That's three out of the nine I will be showing at the exhibition this weekend. Couldn't be more happy that my paintings are going to good homes! Update - I've already sold two of the paintings ahead of the exhibition. They will be on show this weekend of course, but they will have little red stickers on them. Exciting!!!!!! Exciting times - some of my paintings are going to be shown in a group exhibition by the Kilmacud Art Group. The show will open on the 27th of May at 8pm (contact me if you want an invitation), and the paintings will be exhibited on the 28th (10:30am to 7:00 pm) and 29th May (10:30am to 6pm), at the St Laurence's Parish centre - at the back of the Millhouse pub on the Lower Kilmacud Road in Stillorgan. About twenty talented artists will be showing their works, and I'm excited to be amongst them!!!! How quickly nature is moving. I took these photos in the last few weeks, and all these trees have already changed beyond recognition. A really good post would have been to go back to these places and take the exact same photos. But the sun is shining. Life is busy. So you'll just have to use your imagination! Remember that little sketch I did from the National Gallery of the Lincoln Inn? Well I decided to draw the full building after all. I worked from my original sketch and from a few photos I took. And then, I measured, and measured. I did it all by the book! Starting with the overall shape and a central vertical line was a good way to start. I did all the big shapes, including the windows, in pencil first. Then I added the detail with a Sakura Pigma Micron pen. As always when I'm painting or drawing, I lost track of time, so I'm not sure how long exactly it took me to draw this. About an hour I think, maybe more. But it was worth it. The idea was to sketch first, then add watercolour, but I like the sketch so much that I'm afraid to touch it. I'll soon let you know how I resolve that dilemma! Trees are hard, clouds are hard, skies are hard, faces are hard. And water too. But that won't stop me spending the rest of my life trying to paint it. So here are more ripples. I'm happy with how they turned out, the lighter one in particular (although I like the smoothness of the effect on the darker one). But I don't think it's frameable material. Not enough of a composition or focal point. I love the colours though - all mixed from one base colour, Phthalo Turquoise (oh that doesn't sound right, I must check what pigment it actually was.) With a touch of burnt sienna added for the darker greener bits, and with ultramarine for a bluer effect. OK, I'm back, after reading interesting information on the difference between Titanium white and Zinc white , and also about the reason why Cobalt Teal doesn't reproduce well digitally, not that it should matter to me, as I don't use whites in watercolours, and I don't have Cobalt Teal in my collection, although it's on my whishlist! But I will definitely get back to that link. Siobhan Ryan sporting a leather skirt yesterday. Looking lovely as always. 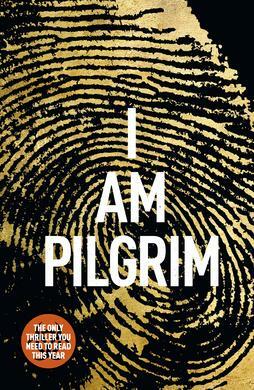 I am Pilgrim. Great book. Spy/Terrorist thriller. Good story. Nicely spun. I don't agree with some of the islamophobic statements of the narrator, but, hey, it's fiction after all. Can't wait to see how the movie that's being planned will turn out. For a more erudite review, check out the New York Times. Not all paintings work out. This is not a very good depiction of our neighbours' cherry blossom tree. But it still serves as a memory of the glory and beauty of cherry blossom season. When summer is just around the corner. And there is hope for dry, warm, sunny days. Living in Ireland, that hope is generally short-lived. But that doesn't mean we stop looking forward to summer. Every day, though, I try to tell myself to just enjoy today. The cherry blossoms will soon be gone. The chestnuts are in full bloom. But then there will be something else to enjoy. There is still one large tree in front of our house that is completely bare. I don't know what it is. But one day, its leaves will pop out, and then I'll know summer is here. Even if it's lashing outside.